Have a legal problem with an Indian domain? Seek advice here. How to check trademark ? 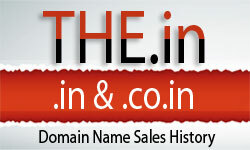 Legality issues of posting names for sale on Sedo and other auctions sites?? Do You Have INDRP Questions? Where to report for fake who is data provided for a domain? NNCC.in INDRP case decision has been published: 4L.in domain investors beware!